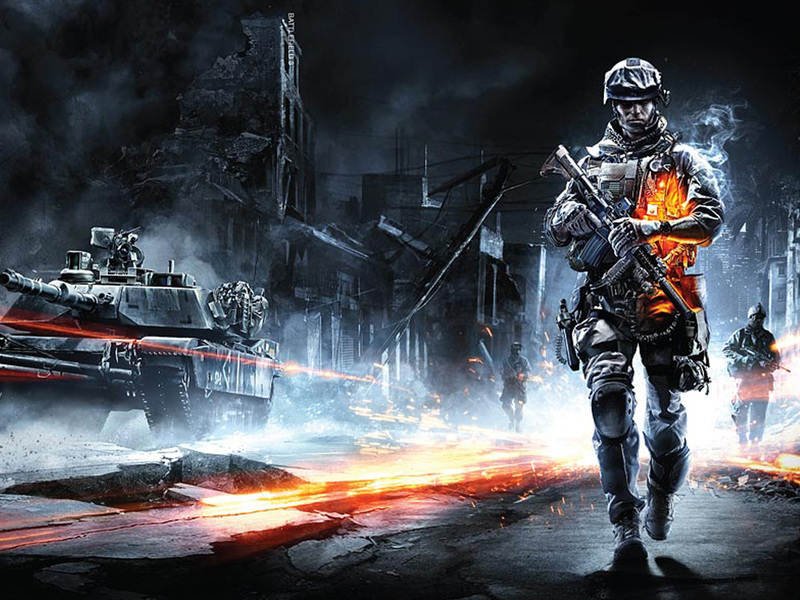 Since October last year, half of my life has been devoted to one amazing creation that is Battlefield 3. Getting mostly 9’s from the critics, the only real competitor to this huge FPS is obviously the CoD series. Since both series have been going on for over half my life, they both certainly have the experience and knowledge to nick £40 out of your pocket and make you feel good about it, but Battlefield 3 does it in a way that nobody would’ve ever imagined before. Using the Frostbite 2 engine and the multiplayer element of the Medal of Honor reboot as a warm-up, DICE made this game the most epic and awe-inspiring game of, well, ever. With 5 million sales in the first week, I am going to explain to you why you should get this game if you haven’t already. I will start with the part of shooters that is dying a slow and painful death: the campaign. Having completed it in a day on hard difficulty about 4 months ago, it remains a sweet memory in the heart of my mind. 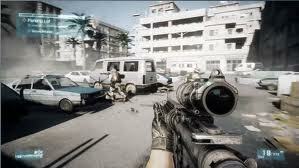 You start off as a foot soldier in the middle of some war-torn Iranian city as part of a small squad of soldiers. After a short while of the atmosphere consuming you, quick fire-fights and realistic situations begin to steal your mind and eyes from the real world. You are quickly shown the amazing destruction engine and realistic sounds as well as things like suppressive fire which makes killing the enemy a lot harder. With all the realism intact, you are still left feeling like you are a super soldier, until of course you get cocky and take a bullet to the face. 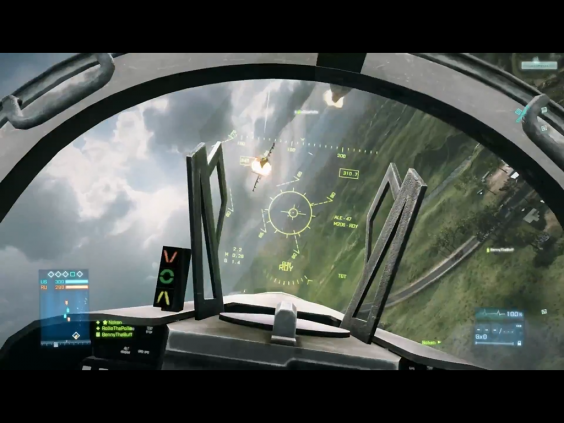 Skipping on a bit as, although I’d love to, I can’t take you through the whole campaign, you are put in the shoes of an F-18 pilot, an M1A2 Abrams (i.e. a big tank) and a Russian guy trying to help the world – for once. After the mind-blowing good lengthy missions that lead up to the finale, some good twists and revelations give that grin a widening and leave you feeling as if you’ve just completed the BF3 campaign because there’s nothing really that compares to it. The next part of the game to explain is the ground-breaking multiplayer that wins most people. The multiplayer has been patched and tweaked and added to constantly to maintain its beauty. From DLC’s to sounds that literally are real, I bow to DICE for giving this brilliant game the upkeep it needs, as any good game does. Analogy alert: nice cars cost a lot to run. The multiplayer is for pretty much anyone. If you are an adrenaline junkie crazy guy you can enter the close quarter maps and game modes which allow simple quickly changing games, but if you like a tactical teamwork inspired game that includes vehicles for land, sea and air then jump into Conquest. As well as the game mode you’re looking for, the type of player you are is taken into account as well. From mounting bipods and massive scopes and keeping your gun on semi-auto to using nothing but your fully auto side-arm and fear to kill your enemies, you can pretty much do anything, use anything or be anything you want to. With plenty maps, weapons, attachments and vehicles the multiplayer is almost flawless. 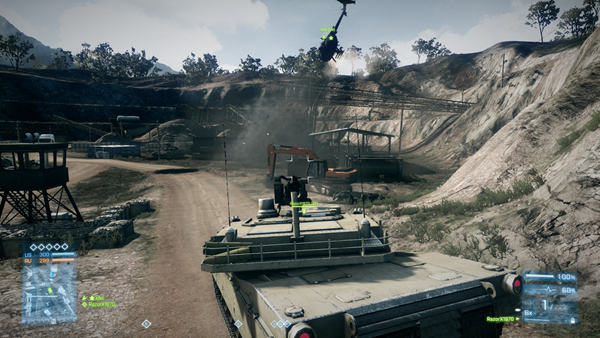 However every game has its bad points and Battlefield 3 is no exception. On large maps against a skilful enemy you may find yourself spawn-trapped with no escape apart from the AA gun that’s being hogged by Brian Peppers’ downy brother. Another problem that may occur which has happened to me twice in total (in my 100+ hours of game time) is when your guns or menu do not appear so you find yourself useless and stuck. The last problem is that you find hours of your day vanish in front of your eyes, although I’d rather that than watch parts of your controller sprinkle across the room after your latest venture on to Modern Warfare 3. Another small part of the game for extra fun is a co-op mission strand consisting of 6 missions that you complete with your friend to unlock some extra guns for online games. The co-op does not need much explaining apart from that it is fun and fulfilling. A problem however that people have with the game however is that it constantly wants your money to rent a server, buy a new map pack or get access to online features. First of all, most of these are avoided if you preordered or bought a limited edition (which costs no more than a regular copy), both of which give you codes for online play and free DLC. Secondly, you cannot blame DICE or the game for this as all the previous stuff was originally going to be free until EA stuck their big, money sucking noses into it and persuaded DICE to let them charge for it. No wonder they’re the worst company in America. Overall Battlefield 3 is a great game and I wholeheartedly recommend it to anyone that is a new gamer, an FPS fan or just anyone with a PC or console. With things like a never-ending achievement list, upgrades to get, people to shoot and wallet-melting DLC combined with other things like dozens of maps, completely customisable weapons and orgasmic sounds and graphics, for me this game couldn’t be better. Cue epic BF theme tune. After several weeks of trying to come up with a good name for the game, we finally decided not to learn from previous experiences and pick a name that’s already kind of in use by a huge existing franchise. After playing around with names like “Elight”, “Wind Commander”, and “Steve Online”, we finally settled on the very catchy name “Mars Effect”. More information about the game can be found on its website, and with the hashtag #marseffect on Twitter. British retailer Game has announced plans to go into administration, shortly after de-listing from the London Stock Exchange. With the announcement, the chain, which has 1,270 stores under the Game and Gamestation brands in Europe and Australia, plans to operate as normal, while trying to find a buyer. Rumours have circulated that American retailer GameStop might take over the UK’s largest specialist game retailer, but, with shares haven fallen 71% in the past year and games such as Mass Effect 3 not being in stock due to credit problems, consumers may soon have to look elsewhere for their games. Read the full press release below. Further to this morning’s announcement of the suspension of trading in shares of GAME Group plc, the board has concluded that its discussions with all stakeholders and other parties have not made sufficient progress in the time available to offer a realistic prospect for a solvent solution for the business. The board has therefore today filed a notice of intention to appoint an administrator. In the short term the Board’s intention is that the business will continue to trade and discussions with lenders and third parties will continue under the protection of the interim moratorium.